Around 50 people met just after the end of the Labour Party Liverpool conference to discuss how to continue the fight for open selection (another word for mandatory reselection). Among them were Matt Wrack, general secretary of the Fire Brigades Union, and Chris Williamson MP. Others included members of International Labour, representatives from CLPs who had submitted similar rule changes and volunteers who had helped to spread the message. With over 90% of CLP delegates supporting the move to debate the issue, the organisers quite rightly, want to hit the ground running. Considering the role that Len McCluskey and Jon Lansman played in defeating this important political principle, it was decided that extra effort should be made to win over trade union members and branches to the open selection campaign. For example, urging branches to affiliate. Comrades will also produce a petition to go to Momentum (which needs to be signed by 4,000 people in order to be put up before to the entire membership). The informal meeting agreed to hold a conference on the issue very soon and to produce one ‘super rule change’ that could be used by as many CLPs as possible. 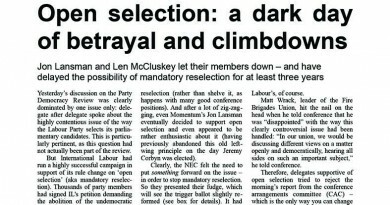 There was some confusion about when exactly open selection could be brought back conference: some comrades feared that the undemocratic three-year-rule would prevent any amendment being heard next year. Others seemed convinced that this should be possible, as the issue was not actually properly debated. The decision was made to approach the conference arrangements committee for some guidance. There was an interesting discussion on how to deal with the reform of parliamentary selections that was voted through at conference: from now on, an open selection process will take place once either 33% of all Labour branches or 33% of all affiliate branches (unions, socialist societies etc) of a CLP request it via the trigger ballot. 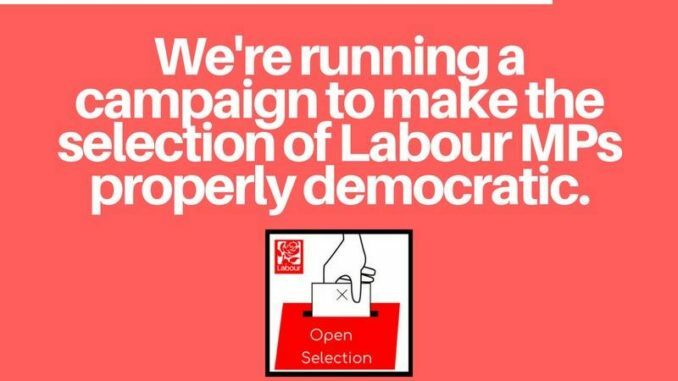 Some comrades suggested that Open Selection could run a successful campaign to organise trigger ballotseverywhere – “including particularly North Islington, where a certain Jeremy Corbyn is the MP”, as one comrade suggested. Not to get rid of him, of course, but to show that there is nothing wrong with giving the membership the choice who they want as their parliamentary candidate. Others feared that a successful campaign to run trigger ballots everywhere could take up a huge amount of resources and mean “that we might lose sight of the prize: Open selection”. There is, of course, also the danger that this could turn out to be too successful – ie, if lots of CLPs manage to win trigger ballots with the new system, this might reduce the sense of urgency in fighting for proper mandatory reselection. Again, comrades decided to seek guidance on how exactly this new type of trigger ballot would actually work, which might solve the above dilemma. 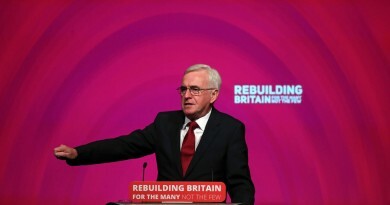 There was also some discussion on how the campaign is “naturally” touching on other important issues where the Labour Party is ripe for radical reform. “There are lots of other issues where the left needs to be better organised”, said Matt Wrack, who lamented that some unions had voted against a rule change that wanted to introduce written standing orders for conference. Another comrade told how in her CLP, leftwingers are being stopped from running as councillors, because local campaign forums – which are usually dominated by councillors and regional officials – stopped them from being selected. A rule change to abolish LCFs and re- establish the much more democratic local government committees was withdrawn after the movers were “heavily leaned on”, she reported. All in all, it was an inspiring meeting. 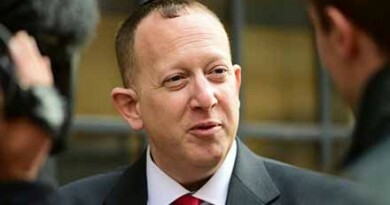 Hopefully it will push the fight for mandatory reselection and other democratic demands forward.